Climate Contingency Services offer a unique service guaranteeing temporary cooling and heating equipment in the event of a failure of your existing heating or cooling system. With a CCS contingency plan in place, you have total peace of mind knowing that we guarantee you reserved cooling or heating equipment, delivered in a guaranteed response time. 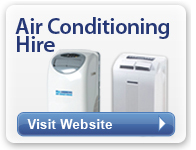 Our products and services are supported by our fully qualified trained technicians. CCS offer bespoke contingency plans for any application, so why wait for your cooling or heating to fail? Once you have a CCS contingency plan in place you have peace of mind knowing that business continuity is only a phone call away. Imagine, a critical system or process overheats and shuts down because of a failure in your fixed cooling system. Thousands of customers' calls go unanswered and business continuity is severely impacted. We don't expect you to panic when disaster strikes, simply call our dedicated 0800 5872 999 hotline and our 24/7 365 disaster recovery specialists will deliver and install your pre-agreed business continuity solution within the agreed timescales. Our mission is to be a first-class provider of climate contingency plans. We aim to help our customers address their individual requirements, supply emergency equipment and services within agreed timescales and provide support throughout the whole process.